Aluratek was founded in 2006 by a group of industry veterans that are absolutely fascinated with technology. The company headquarters is located in Irvine, Canada. 'Allure' as a noun, means exciting, fascinating, attractive, and/or appealing. Adding 'tek' (technology) to the equation you can see where the name and ideology derived from and what Aluratek aims to deliver. 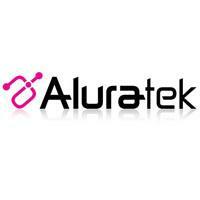 Beyond digital photo frames, Aluratek has expanded its product mix to over 100 product solutions catering to the current smartphone and tablet craze that is underway. Utilizing the latest in Bluetooth wireless technology you will find a plethora of products that will enhance your everyday life in their Bluetooth Audio / Accessories category. You will need to power these devices so Aluratek has invested into producing a full line of Mobile Power and Charging products as well as USB and Audio / Video Accessories. Aluratek's strong desire to continuously provide simple yet elegant connectivity solutions requires constant feedback from the customer.